Manufacturer of a wide range of products which include delrin rod. 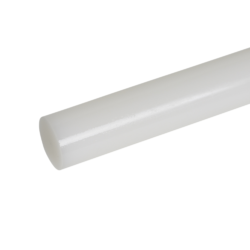 Polestar™ Polyacetal Delrin Rod offers a unique combination of properties not available with metals or other plastics. Used for Gears, Bushes, Sprockets, Pulleys, Conveyor Chains, Rollers, Washers, Seals, Engineering Components for Appliance, Electronic, Automotive, Textile machinery etc. Looking for Delrin Rod ?